It’s time to gather around the table and be thankful for all the blessing we have. Why not celebrate with the kids too? 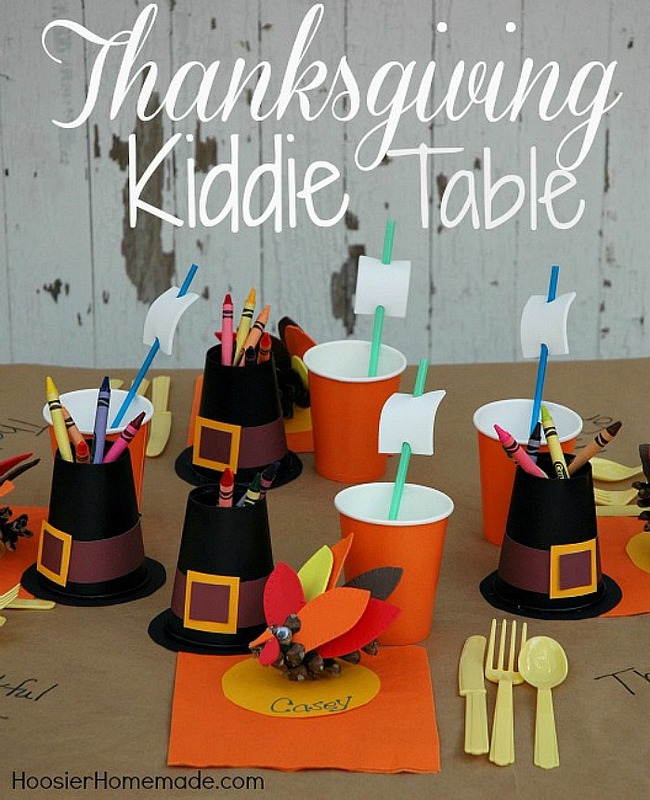 This fun Thanksgiving Kiddie Table is easy to create and the kids will love helping you too! I remember at family dinners when all the kids would sit at a special table, they would laugh, have fun (and sometimes get into trouble) and simply enjoy the holiday. 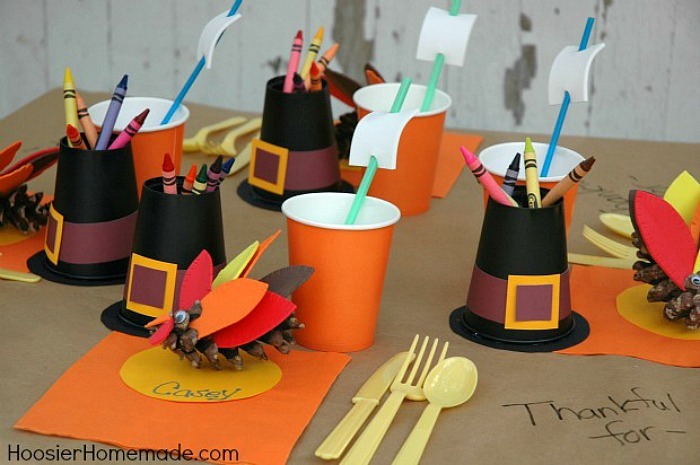 This Thanksgiving Kids Table is sure to bring joy and laughter! 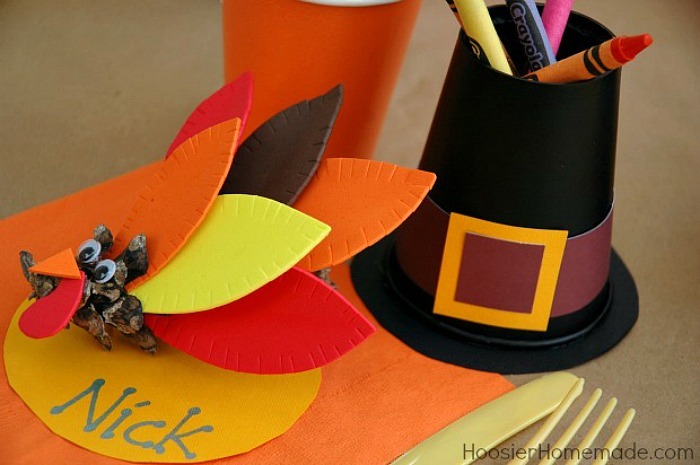 First I lined the table with craft paper, making it easy for the children to draw or write what they are thankful for. 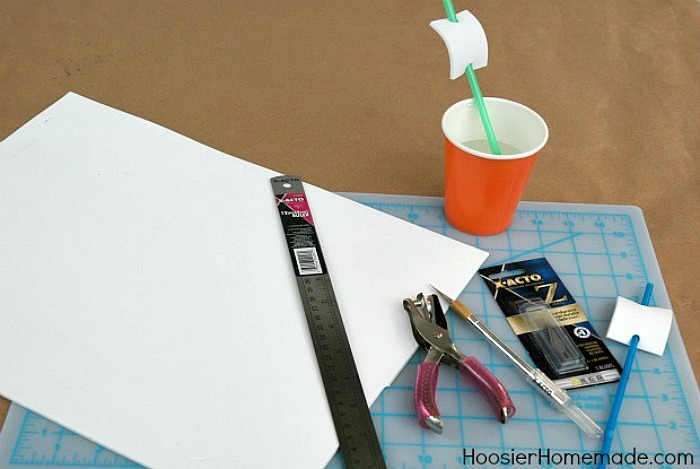 All of the crafts on the table are easy and kid friendly. I used X-ACTO products for the cutting, be cautious when using them around children. Very cute ideas here! Love the hats with crayons! Thanks for linking up to Merry Monday! Sharing on Twitter & Pinned! Have a great week! What a great idea!!! I LOVE the crayon art kids table!!! trying this!!! Thanks so much Alice! So excited you like the Thanksgiving Kiddie Table! 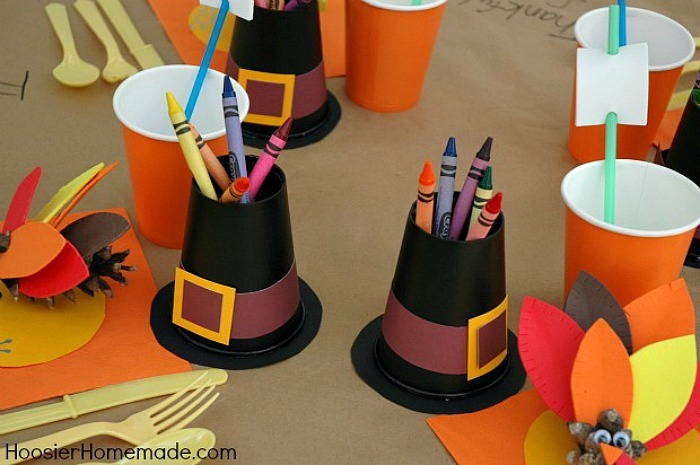 I love the colorful combination of ideas for the table, but the Pilgrim hats with crayons inside are my favorite. Easy and fun. Thanks for sharing! So excited you like the table. Thanks so much! This is so cute and such a great idea! 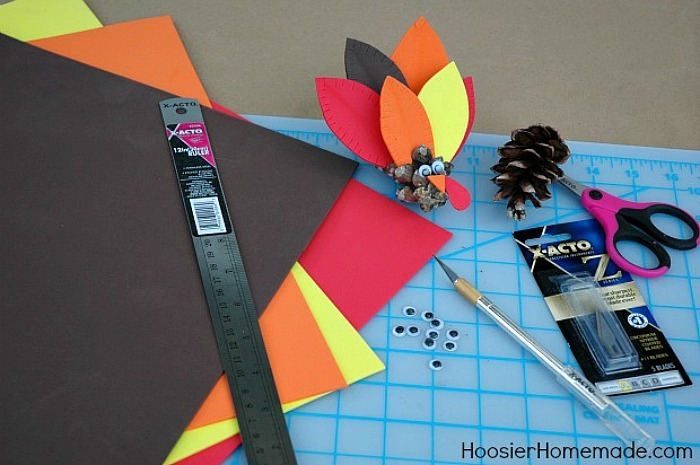 I pinned this and I’m also featuring it tomorrow on my Thanksgiving Crafts Round up. 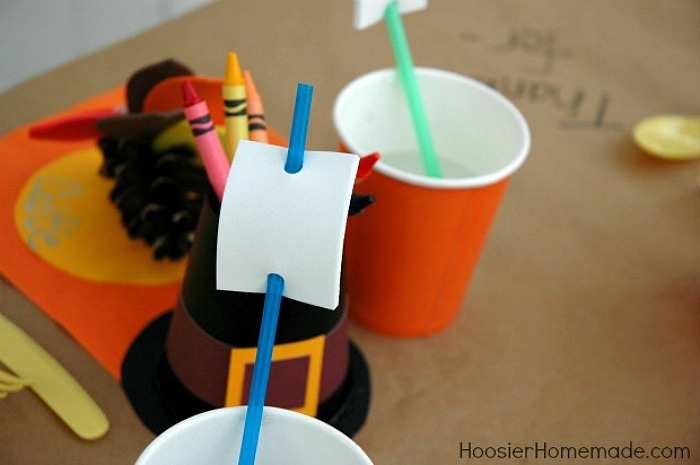 You can add some napkins in the bottom or paper rolled up if you need to. Great idea! Only 16 days !!! All your ideas are so much fun! Thanks for stopping by Tammy! Happy Thanksgiving to you and your family! 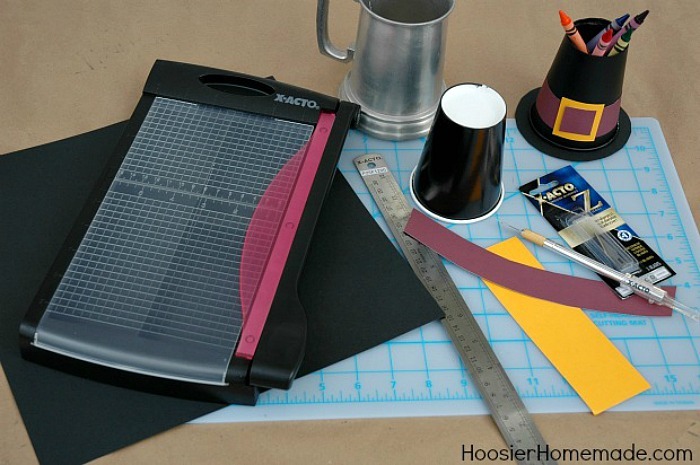 These are very pretty and functional. 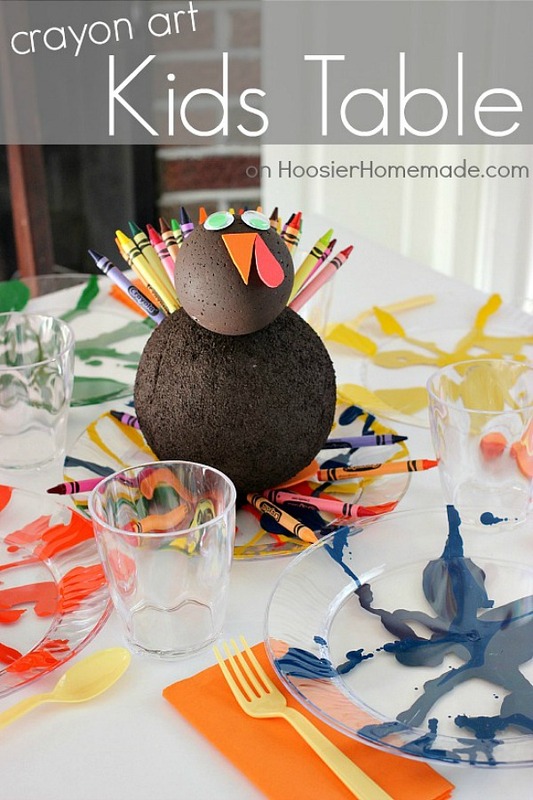 I’m sure the kids will be very entertained on Thanksgiving day. The same idea can also be used for Christmas. Hi Anne, I love the idea of the Christmas Kiddie Table. Thanks for stopping by!